me all about where we were staying and how you can stay there too. 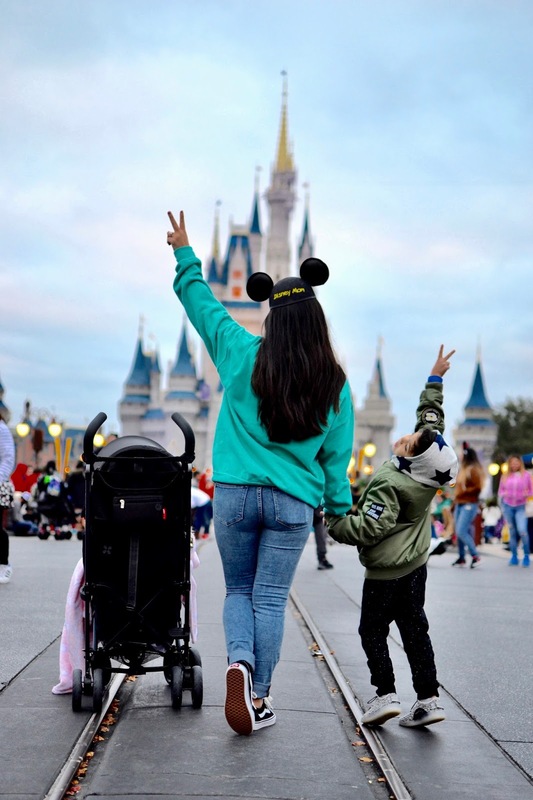 This post is all about the resort, its amenities and what we did while in Disney World. Get ready for a load of pics! We stayed in a 2-bedroom villa at the breathtaking Copper Creek Resort. 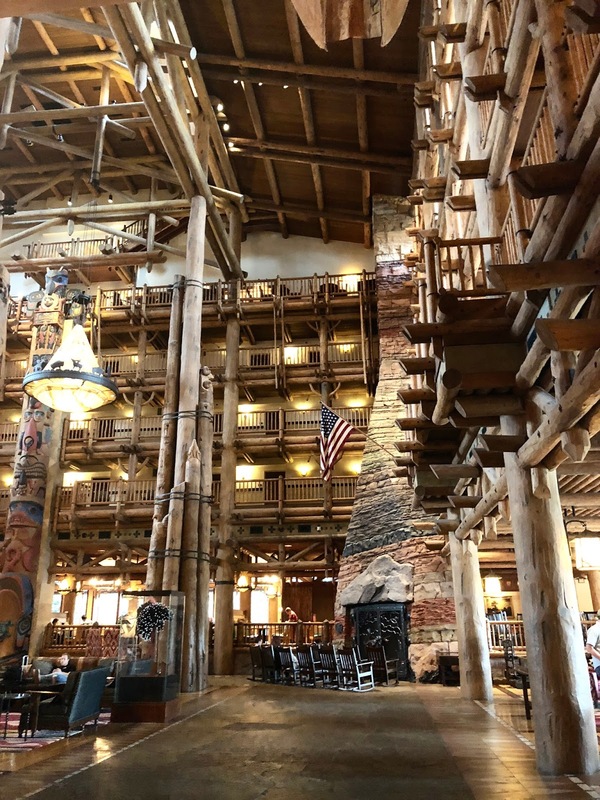 Copper Creek Villas & Cabins is located at Disney's Wilderness Lodge. Our villa had everything we needed and then some. 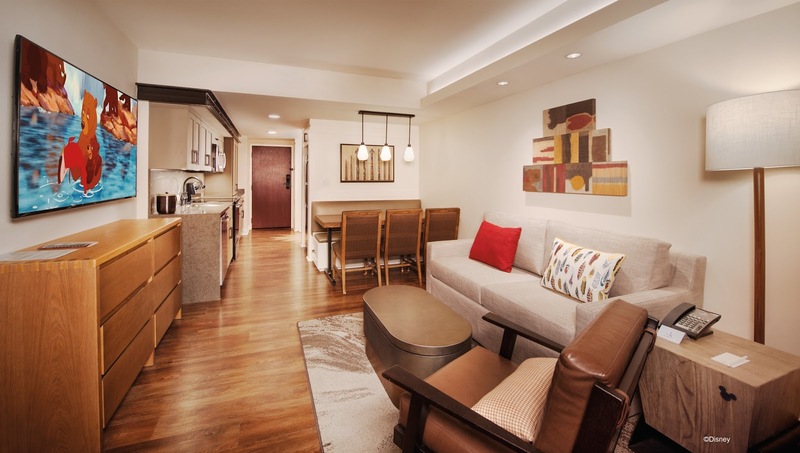 From the large bedrooms, to the cozy balconies, huge bathrooms (did you see that bathtub!?) and even luxuries like washer and dryer (yes, I did laundry during vacation!) and a full kitchen with a full fridge, microwave and stove, even a dishwasher. We truly had everything we needed and it was perfect for our family. We felt right at home and the kids absolutely did not want to leave, neither did I. 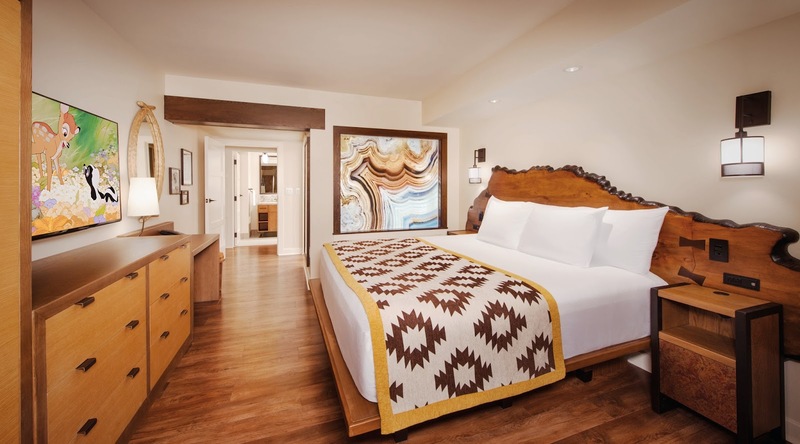 Copper Creek Villas & Cabins is part of the Disney Vacation Club (DVC) which is a flexible vacation ownership program where families can enjoy their Disney vacations. There are 14 properties that are part of the DVC, Copper Creek is their newest one, it just opened in July 2017. Members can also enjoy the Disney Collection, which includes select Disney Resort hotels and Disney Cruise Line. They can also enjoy a variety of experiences and benefits unique to Disney Vacation Club members. Such as the Member lounge for Members visiting Epcot, complimentary after-hours events in Disney Parks, and discounts on merchandise and food & beverage in select locations. Vacations at a Disney Vacation Club resort can last anywhere from one night to several weeks. With Disney Vacation Club properties located near the Disney theme parks in Florida and California, members have easy access to new and innovative attractions on both coasts for years to come. You don't have to be a member of the DVC in order to stay here, you can make a room reservation just like you would for any other hotel. There are several different styles of rooms to stay, from studios, to 1 bedroom and 2 bedroom villas and even 3 bedroom grand villas as well as luxurious waterfront cabins. All beautiful and super cozy. What I loved about the hotel is that they have a lot of family friendly events, especially for the kids. Even though we didn't get to make the camp fire because our flight was delayed, they do have campfire & s'mores at 6:30 every evening. You can also watch fireworks cruise (for an additional fee) and even movies under the stars at 8pm every night as well. Besides these family friendly activities, there is plenty more to do. You can horse back ride, take a boat out into the lake right behind the resort, you can even rent bicycles as well as of course enjoy the pool and the brand new kiddie splash pad, which is great for younger children. The kids even hung out at the arcade and they were so happy. For those mommies (or not!) who are in need of some R&R, there is also a beauty salon where you can get manis, pedis and hair styling. There's a gym and jogging trail, you can truly do it all here. There are a few restaurants you can eat at inside the resort, we ate at all of them except for one. There are a total of 4; Whispering Canyon Cafe, The Roaring Fork, Geyser Bar & Grill and Artist Point. I have to say the food at the three restaurants we ate was delicious, so I recommend every one. They were super accommodating to Emme's peanut allergy and very very careful as well as reassuring. We stayed in Orlando for 4 days and though I wish I had one more day to enjoy the resort even more, 4 days was a perfect little getaway for the long weekend. Here's what we did and how you can make your long weekend vacation work for you and your family. Here's what our agenda was like in case you are looking for ideas on how to plan your weekend. We had dinner at the fun Whispering Canyon Cafe on the first night we got to the hotel. This is such a fun and delicious restaurant. It is themed and it is so much fun. I had the roasted chicken with mashed potatoes and you guys, it was delish! We then walked around the resort but missed the nightly activities for the kids due to our flight delay. But it was nice to walk around and just relax before the mayhem of the parks. We had breakfast at The Roaring Fork, which is a sit down restaurant as well as a pick up and go style restaurant. We were running late, so we grabbed some croissants, donuts, OJ and hot chocolate and sat outside to enjoy the views. On the second day, I had a media tour where we got to walked through the property and check out the luxury cabins, you can see all the photos here as well as my vlog on my YouTube channel. At around 4pm we took the water taxi at the resort boat dock into Magic Kingdom. It was just a 5 minute ride and we loved the experience, the kids loved it even though it was such a windy afternoon. I would do it over and over, I definitely recommend taking the water taxi, it was much faster than the buses that are also provided by the resort. We spent our evening in Magic Kingdom, getting on as many rides as we could, meeting Mickey and of course watching the amazing display of fireworks. You can catch some of that on my blog. On Sunday, we slept in a little and relaxed in the morning. What I loved most about this vacation is that though it was fun-filled, it was also relaxing and I had time to unwind as well. We decided that we would head out to Animal Kingdom (my favorite park!) at 11am, we took a bus into the Animal Kingdom and headed straight for Pandora! Pandora is Disney's latest attraction and it absolutely is everything and more. From the breathtaking details and views to the boat ride (Na'vi River Journey) and of course the virtual ride (Flight of Passage), the creators of Pandora did a magnificent job in bringing Pandora and the Avatar world to life. Every single detail was gasp-worthy and simply beautiful. We were told to make sure we had lunch at Satu'li Canteen, which is a theme restaurant right inside Pandora. The food was ah-mazing, I had the chicken bowl and Dreamwalker Sangria, I absolutely recommend you eat here when you go. Dave and I were both super satisfied with our meals. After being in awe of Pandora, we headed to Dinoland for the kids, we also did the Safari (in Africa), which is a must! I recommend you check out The Lion King show, it's amazing! As well as Rivers of Light, which takes place in the evenings in the Asia side of the park. On Monday, it was time to go home, so we grabbed breakfast again at The Roaring Fork before heading out to the airport via the Magical Express bus provided by the resort. Ben even cried because he did not want to leave, Disney is always a magical experience. He asked if we could please come in the summer... we will see kiddo! Thank you so much to Disney World and Copper Creek for an amazing stay. I truly felt so blessed to be able to bring my children along and mix my work life with my family life. These are memories that are sure to last a lifetime. See ya real soon! 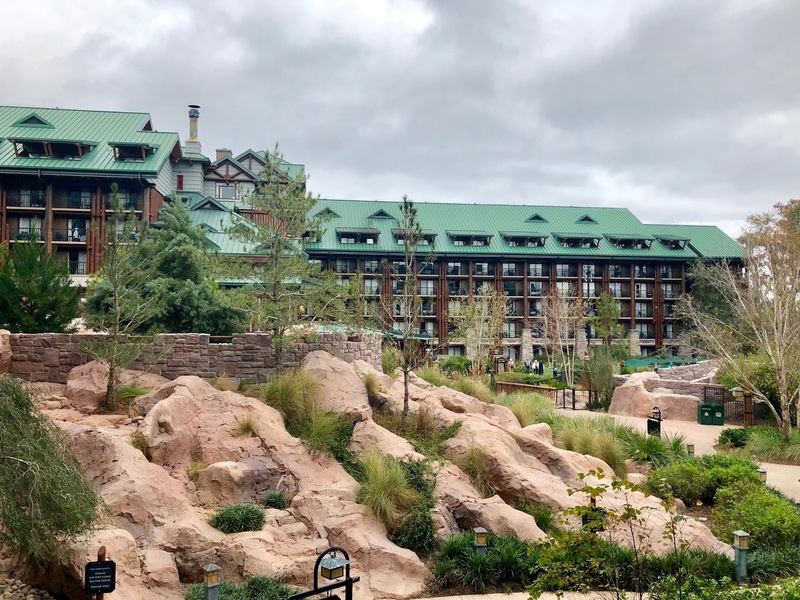 This post is in collaboration with Disney and Copper Creek Resorts. All opinions are my own.